Monitoring large environments could be a nightmare without automation. Zabbix provides several ways of automating the management of such environments. Devices and elements of devices, such as file systems and network interfaces, can be added and removed automatically as they come and leave an organization. 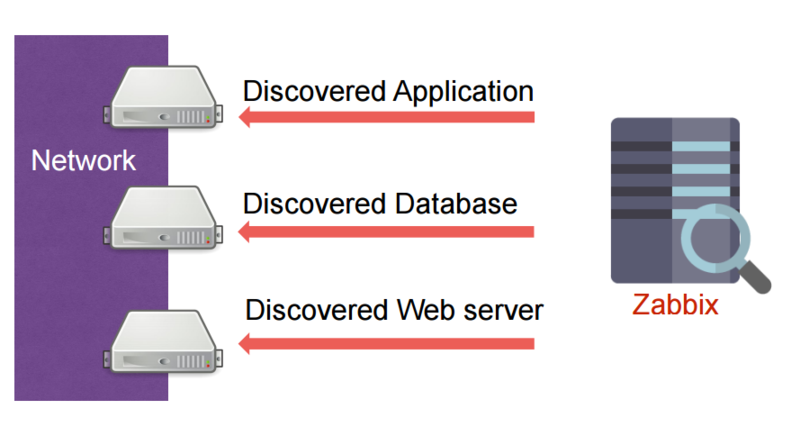 There are 3 main approaches to automatic discovery and management of environment elements within Zabbix: network discovery, low-level discovery, and agent auto registration, each serving its own field. This function allows to periodically scan the network for external services or Zabbix agents (passive) and take pre-defined actions upon discovery of those. information received from an SNMP agent. 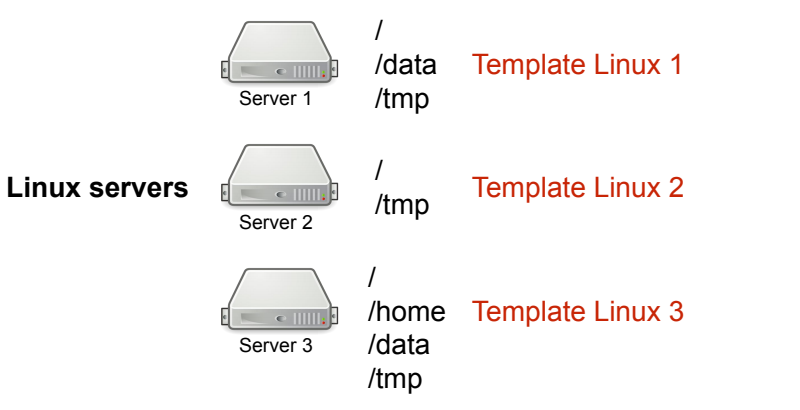 The actions can be configured to take into account device type, IP, status, uptime/downtime and other parameters. Low-level discovery provides a way to automatically create items, triggers, and graphs for different elements on a device. For instance, Zabbix can automatically start monitoring file systems or network interfaces on a machine, without the need to create items for each file system or network interface manually. 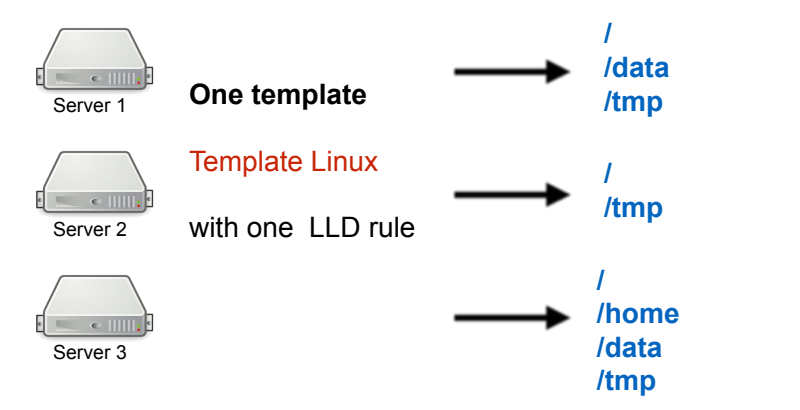 Moreover, it is possible for users to create completely custom low-level discovery rules, discovering any type of entities - for example, databases on a database server. This function allows a Zabbix server to start monitoring new equipment automatically if this equipment has a Zabbix agent (active) installed. 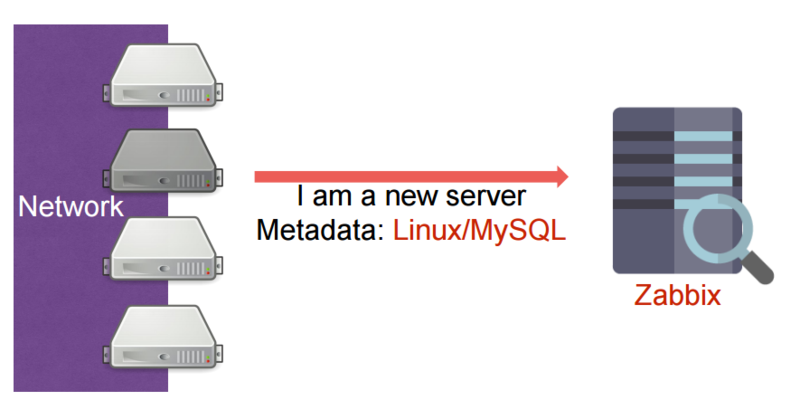 This allows to add new hosts for monitoring without any manual Zabbix server configuration for each individual host. When adding a new server to the monitored environment, it is only necessary to install a Zabbix agent (active) and point it to a Zabbix server. The auto-registration function is very handy for automatic monitoring of new Cloud nodes. As soon as you have a new node in the Cloud, Zabbix will automatically start collecting performance and availability data of that node.